The ‘Toulouse Caravaggio’ which Marc Labarbe will offer at auction on June 27. It is estimated at €100m-150m. Image copyright: Cabinet Turquin. 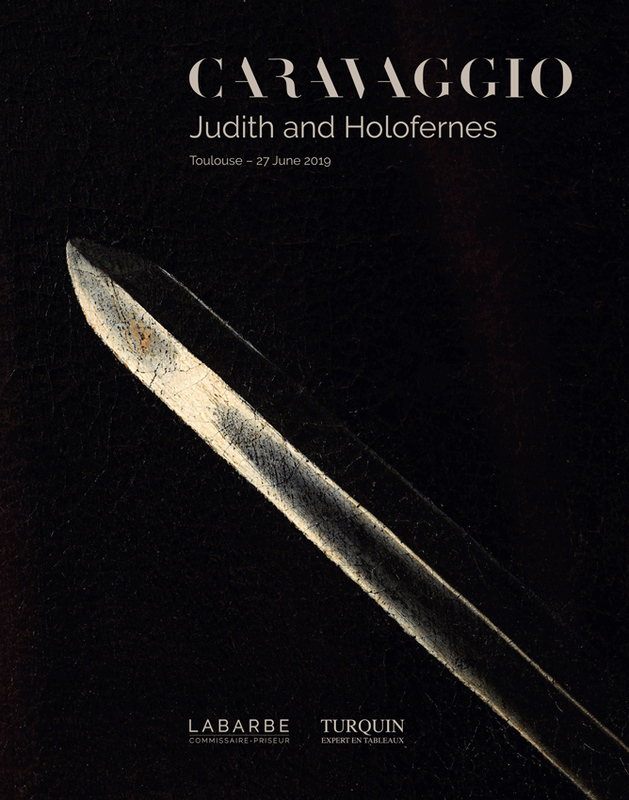 The 170-page illustrated catalogue for Judith and Holofernes has been made free to download online. It includes introductory essays by auctioneer Marc Labarbe, who will conduct the sale from the rostrum, and Old Master expert Eric Turquin, whose firm Cabinet Turquin has helped research and authenticate the work. It also features monographs by Nicola Spinosa, the former director of the Capodimonte Museum in Naples; Keith Christiansen, chairman of European paintings at the Metropolitan Museum of Art, New York; scientific experts Claudio Falcucci and Rossella Vodret; and restorer Laurence Baron-Callegari. The front cover of the catalogue for the ‘Toulouse Caravaggio’ which will be offered at auction in June. While the catalogue provides a lively chronology of the painting’s discovery and sets out a cogent summary of arguments supporting the attribution to Caravaggio, critics may point to the lack of fresh material in terms of adding to the ongoing authorship debate. 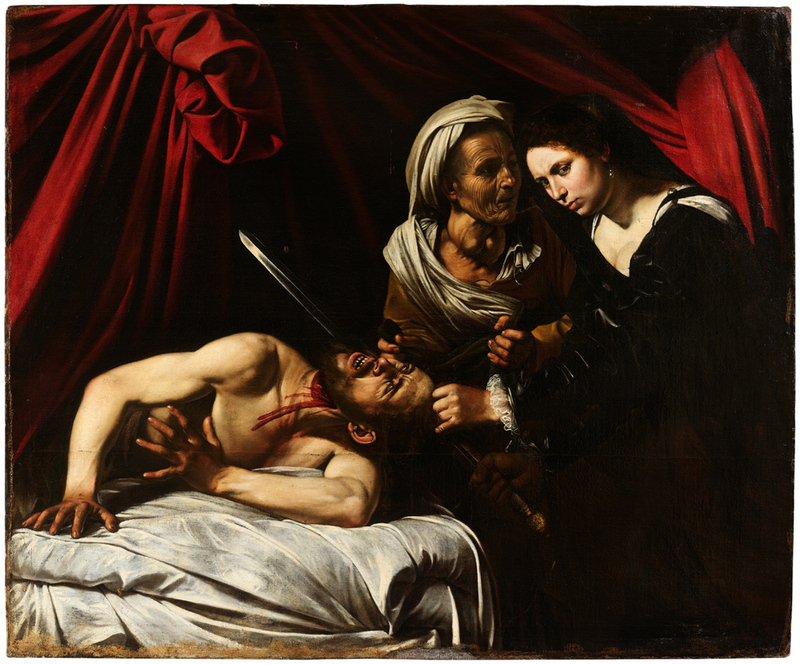 It does however provide an interesting timeline and analysis as to where the painting sits in Caravaggio’s known body of work, in particular focusing on the visual and technical comparisons to Caravaggio’s earlier version of Judith and Holofernes which is now in the Galleria Nazionale d’Arte Antica at the Barberini Palace in Rome. 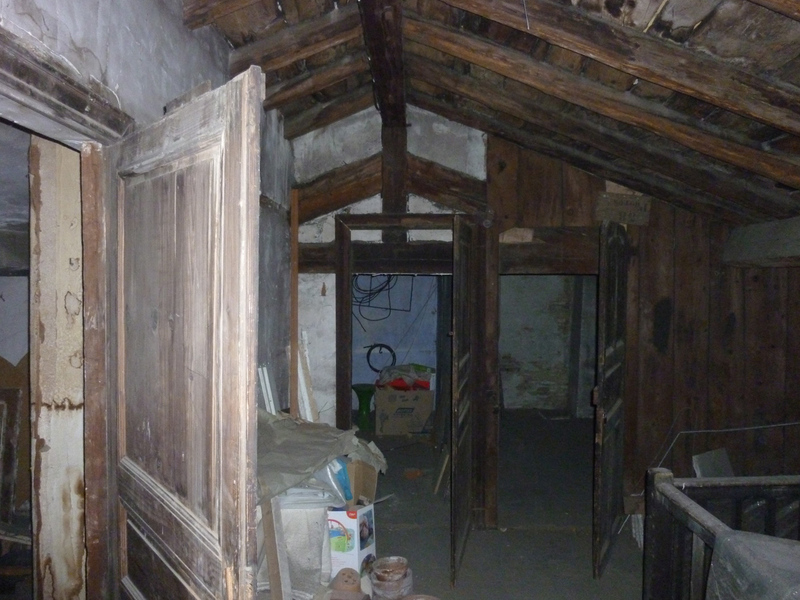 The attic in Toulouse where the painting was discovered in 2014. The ‘Toulouse Caravaggio’ was discovered in 2014 in the attic of a house from which Labarbe had dispersed the contents over the space of a year. The picture will be offered at the Hôtel des ventes Saint Aubin in Toulouse on June 27. No estimate is printed in the catalogue but, when it was exhibited at London’s Colnaghi gallery in February, Turquin said it would be offered without reserve but pitched at €100m-150m. Tomorrow it goes on view at Kamel Mennour, a contemporary art gallery in Paris, where it will be displayed until May 4 – the first time the work has been publicly exhibited in France. In a somewhat unexpected juxtaposition, it will be appearing at Kamel Mennour as part of a ‘dual exhibition’ with contemporary French artist Daniel Buren’s site-specific work Pyramidal, haut-relief – A5 which is made up of mirrored blocks. Judith and Holofernes will then head to New York where it go on show at Old Master gallery Adam Williams Fine Art from May 10-17.